NEW ROOF 2019 Beautiful 4 Bedrm Pool Home w/Fenced yard. Bright open Floor Plan. Kitchen Island w/breakfast bar. Trucks & big dogs welcome.Boat & RV Parking, just 30 per month. Low HOA fee-141 per month includes: HD Cable, High Speed Internet, Clubhouse w/wifi, Heated Lap Pool, Exercise Room, Party Room, Play ground, private community Boat Launch that leads to Ocean. 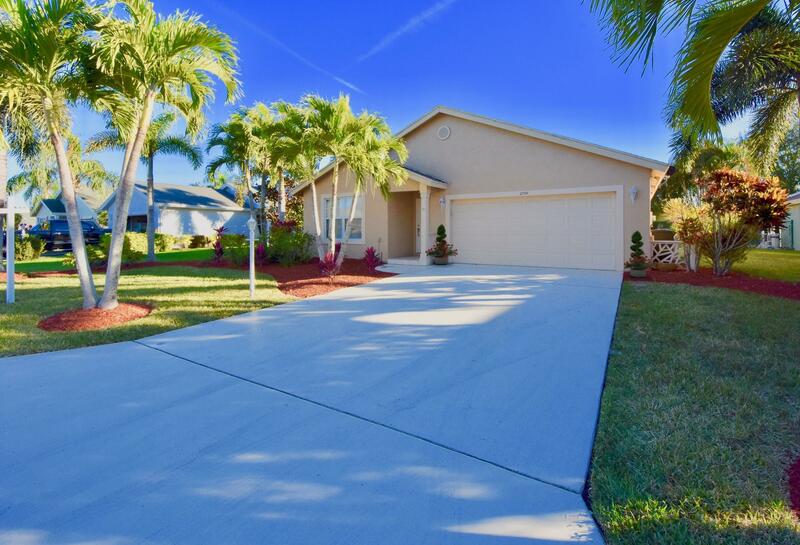 Most sought after Schools in Martin County, South Fork High School, Crystal Lake Elementary (Pre-K & gifted programs).Easy commute, 5 minutes to I-95. Martin County has lower taxes than St Lucie & Palm Beach County. Stuart has the most amazing Historic downtown, located on the water, with lots of excellent restaurants to choose from & so many boutique stores, you can shop all day. Owner has moved, home is vacant, easy to see.